Google Plus is pretty much the black sheep of social media networks. Google might have had big plans for it when it launched back in 2011, but most of us have spent the past four years ignoring its existence. So you’re probably wondering why I’m encouraging you to use it at all. The thing is, Google puts its own results first. Cafes and restaurants with a Google Plus account are automatically ranked above venues without one. Google ‘Melbourne cafes’. You’ll see what I mean – Google's local listings appear above all organic search results (something the rest of the internet is not happy about). While it doesn’t appear that the cafes are in any discernible order (they’re not alphabetical, and they tend to be scattered all over the place), the ones at the top share two things in common – they either have a Google Plus page or reviews on Google. That doesn’t mean you have to maintain yet another social media network, because who has time for that? You just have to claim your page, and make sure it’s full of as much information as possible. 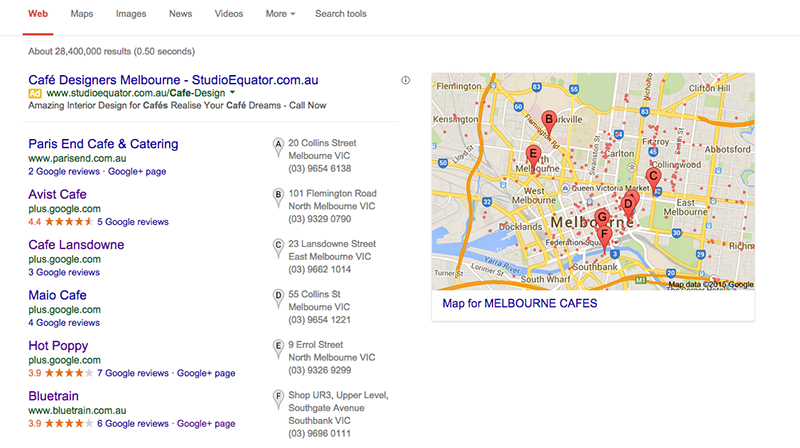 Let’s look at an example: the Google Plus page for Melbourne venue Cafe on Bourke. As you can see when you visit this profile, the page itself is a placeholder. It only has 2 followers and no social updates, but that doesn’t matter. The business owners have filled out the most important information – the elements Google will reward them for – namely their address (so they are placed correctly on Google maps), their contact information and a detailed (and keyword-filled) description of their venue. On the other hand, Bluetrain uses Google Plus to cross-post content from its Instagram page. And this is a pretty clever strategy, because again, Google prefers content posted to its own platforms. This is going to help boost their organic search ranking. Bluetrain doesn’t have to put a lot of effort into this, because they are just recycling content they have already created. If you are going to post content on Google Plus, it pays to format the text properly (for SEO value) and use hashtags (so it’s easier for people to find you). Use a free tool called Iconosquare to search for appropriate hashtags. To claim your business page, Google ‘your business name’ and ‘Google +’. Then search for the section called Is This Your Business? and select Manage This Page. If your page doesn't exist, visit https://www.google.com/business to set one up. Another thing worth paying attention to: your Google reviews. 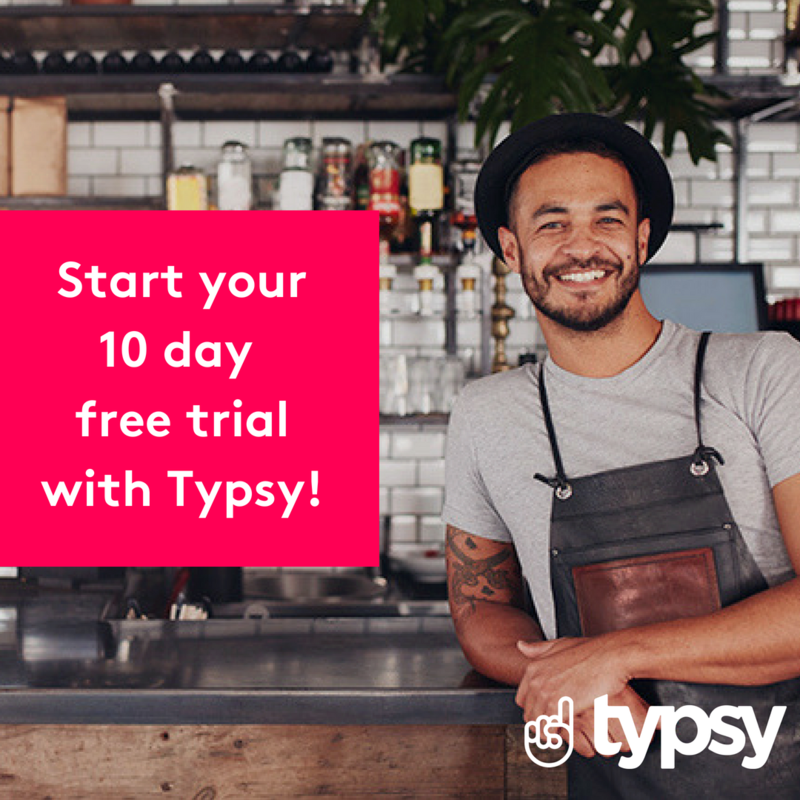 It's likely they are the first reviews people are going to read about your café, because they're so prominently positioned beside your star rating. A star rating is hard to resist. I don’t know about you, but if I see a café with a 4.5 rating on Google I immediately think it’s worth visiting. So it’s definitely worth asking visitors to post their comments here. One final element you can optimise: your photos. When you search for a business on Google Maps, there are listings with a street view image, or listings with a street view image AND photos inside the venue. Obviously cafes with both are going to attract more attention. To add photos, just visit your Google Plus profile and select Upload First Public Photo. Google Plus also allows you to adjust the contrast on your photos and add special effects (for example if you upload a photo with lights in the background, you could make the lights blink). It's been hinted that Google Plus will be changing significantly in the near future. Though we don't know exactly what those changes will be, it seems clear the platform will become less of a social media network and more of a search and advertising tool. So with that in mind, optimise it to help your business rank well, but don’t worry about using it like you would Facebook or Instagram.